Pugwash students contribute to peace, making connections, and understanding as they create the PeaceGround Project at the Cyrus Eaton Park, scrape and paint the Gate House, and interview people related to the Cold War and Thinkers Lodge. We celebrate their contributions. 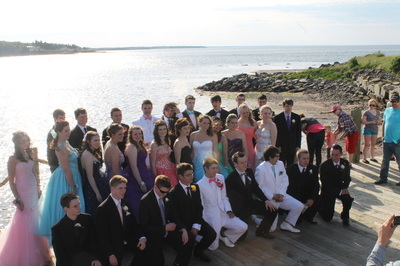 Meet Teresa Kuwachuk's Global History students and read the interviews they conducted of people connected to the Pugwash Conferences and Thinkers Lodge. Share the journey of the students, faculty, staff, and Pugwash community members who created the PeaceGround Project at the Cyrus Eaton Park. Acknowledge the hard work of the Pugwash students scraping and painting the Gate House as they help bring back to life this historic building. Stroll from Cyrus Eaton Park down the Board Walk up the handicapped accessible ramp built by the Pugwash students on the Lobster Factory. 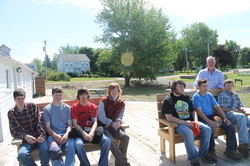 Ninth Grades from Pugwash District High School Tour Thinkers Lodge.